We’re delighted to tell you that – with the help, kindness, and astonishing generosity of hundreds of people – we successfully reached our funding target so we may cover the costs of kids’ places at this year’s Mega Weekend. To each and everyone of you who helped – whether this was by telling your friends and family, sharing our campaign on social media, or donating yourself, thank you. We are truly grateful. With your support and generosity, we’ll be able to fully subsidise the costs of kids’ places at this year’s Mega Weekend event, 26th-29th October 2018. Thank you. 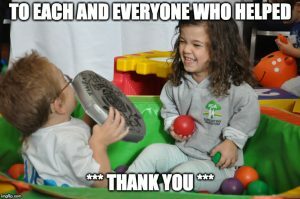 We’re a small, grassroots charity. We endeavour to be very careful with our limited finances, and we depend on grants and the generosity of our members and supporters, friends and family. Without people like you, we’d be nowhere. 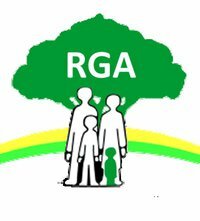 You are all TEAM RGA. Children with dwarfism and their siblings will now be able to come to this wonderful event where they can feel part of something special, grow in confidence, and make friendships that can last a lifetime. We’ll soon be in touch with more information about event itself. In the meantime, for further information please email convention@restrictedgrowth.co.uk.